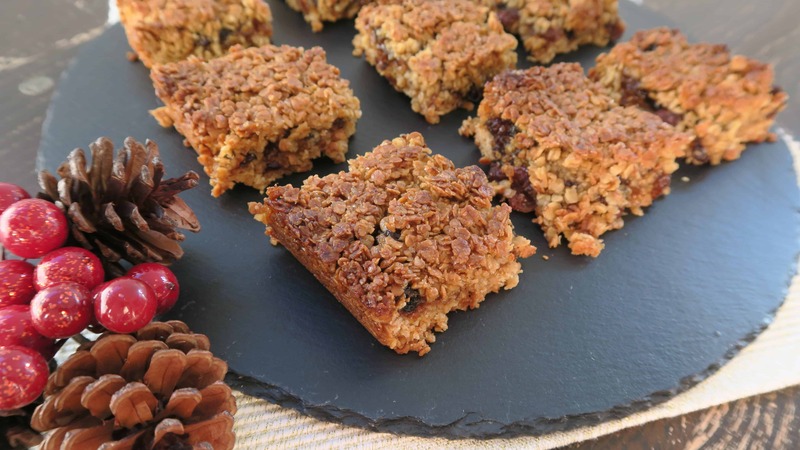 I love mincemeat and I love flapjack, so this seemed like the perfect combination for a tasty, gluten free Christmas treat – which is not healthy in the slightest, and I love that! 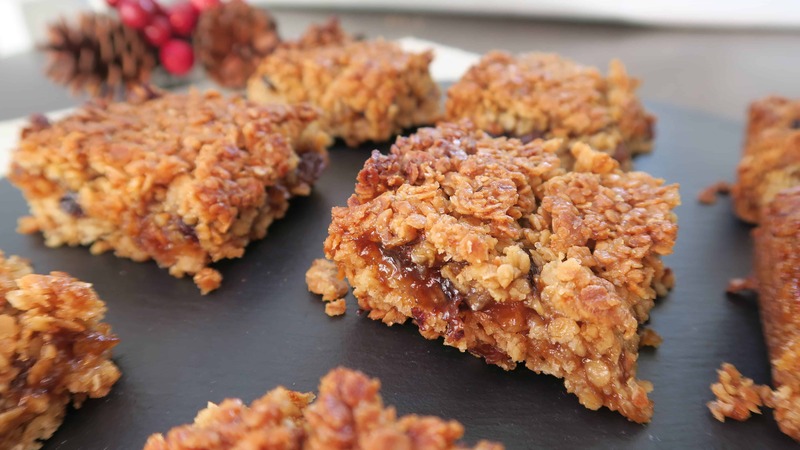 While I have made a few more healthier versions of flapjack (such as my banana and nut butter flapjack or my chocolate Bounty flapjack, not everything in this world needs to be healthy. It’s Christmas, and sometimes you just want a treat! That’s right, I’m talking thick and gooey golden syrup, oodles of mincemeat and sweet-smelling demerara sugar, which is why I’ve cut it into small squares to avoid a sugar overdose! These are seriously easy which is why they would be a great recipe to make with the kids – and one the whole family can enjoy. 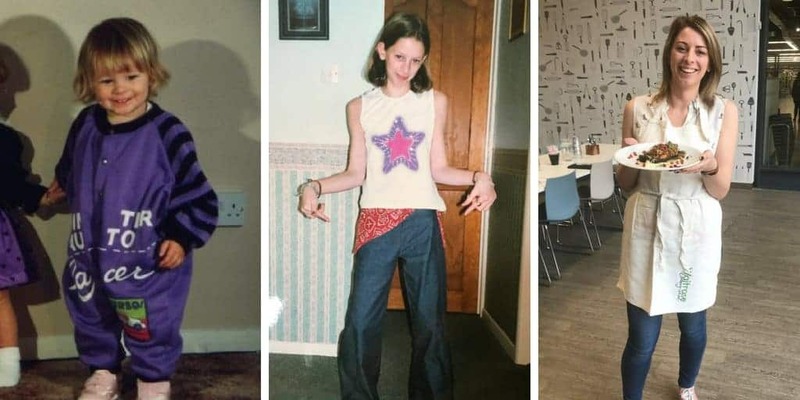 I hope you like it, make sure to share your pictures if you give it a go yourself, I’d love to see them! A yummy gluten free Christmas recipe for mince meat flapjack - perfect for using up leftovers from mince pies! Preheat the oven to 175’C and line a baking tray with baking paper. Add the butter, sugar and syrup to a large pan and place on a low heat. Stir until the butter has completely melted – be patient, don’t let it start boiling! Take off the heat and add the oats to the mix. Stir well until fully combined. Place half of the oat mixture in the lined baking tray and flatten down. 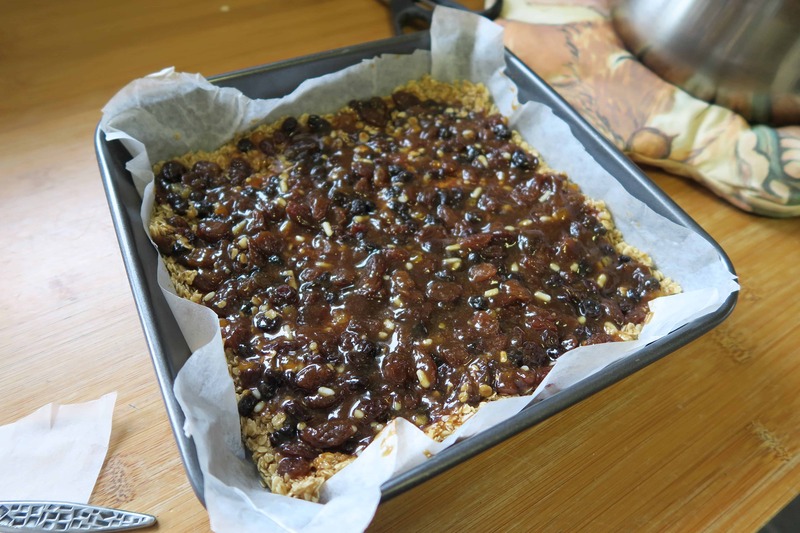 Pour the mincemeat over the top and carefully spread over the oats until fully covered. Pour over the rest of the oat mixture, covering the mincemeat, and flatten down. Bake in the middle of the oven until golden brown, approximately 25-30 mins. Allow to cool completely then cut into 16 squares. 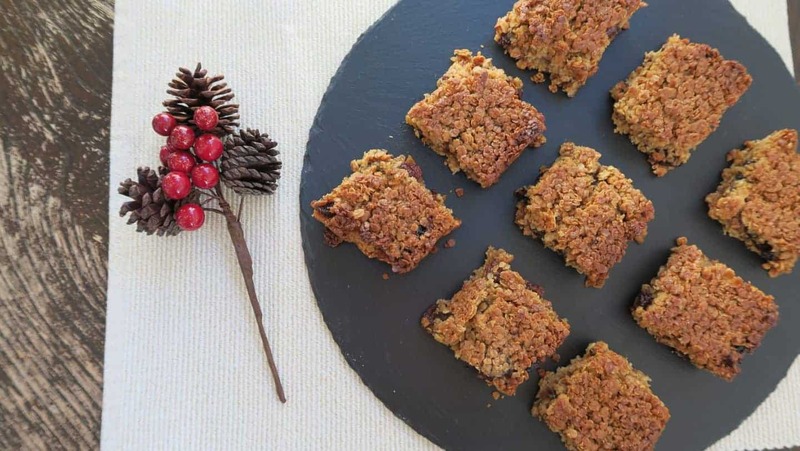 Serve them hot or cold – they go really well with a glass of mulled wine! 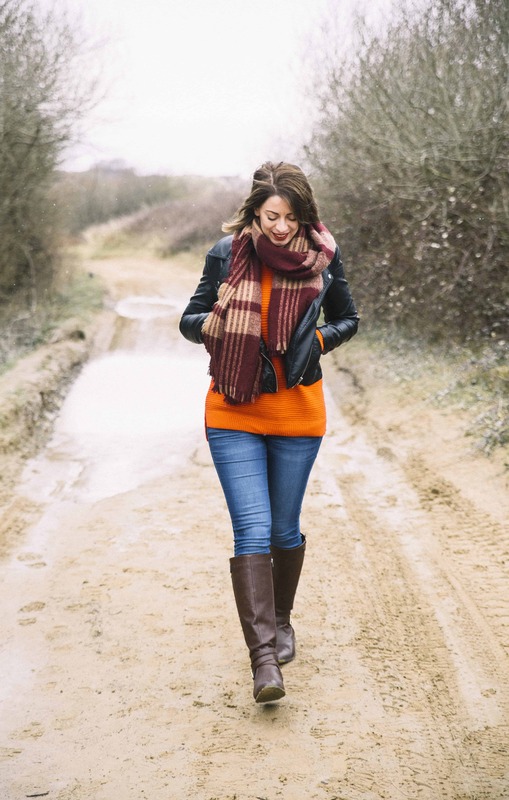 You can subscribe to my Youtube channel and watch my whole Vlogmas series here. 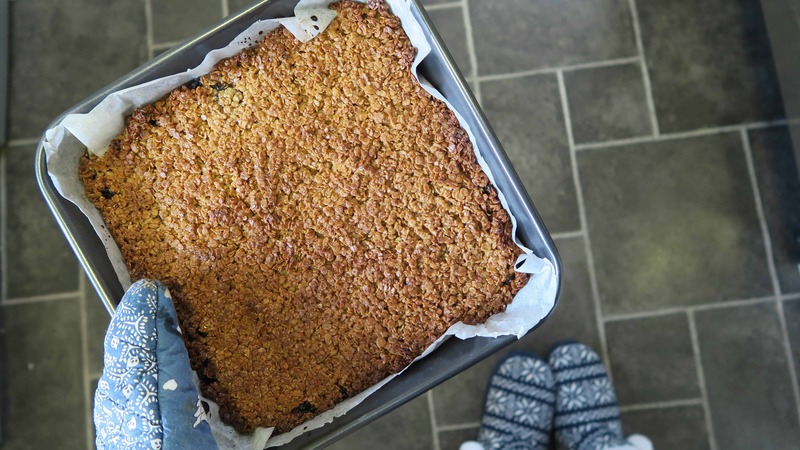 What is your favourite flapjack recipe? Comment below and let me know or share them on my Facebook, Twitter or Instagram pages – and please subscribe to my Youtube channel! Next Post Decorating gluten, dairy, nut and egg free Christmas mug cookies!